These scholarships will be awarded automatically providing you have met the eligibility criteria. You do not need to submit an additional application form. Please note: students are only entitled to be awarded ONE scholarship for the highest value in any given academic year. Please be aware that not all courses are included in our scholarship schemes. Refer to the table below for details of which Schools are included in each of our scholarship schemes. If you are unable to view this table you can download a PDF version. Before you apply please read our policy and procedure guidance, it may save you time and it will ensure that you are informed of our processes. Please note: Students are only entitled to be awarded one scholarship for the highest value in any given academic year. These scholarship schemes are for students commencing in the 2019/2020 academic year. An application must be submitted to be eligible for this scholarship. Scholarship value: 50% off your tuition fees in year one. 50% off the successive years tuition fee, if an overall grade of 70% or above is maintained. complete a scholarship application form. Scholarship value: £4000 off your tuition fees in year one. 20% off the successive year's tuition fee if an overall grade of 70% or above is maintained. 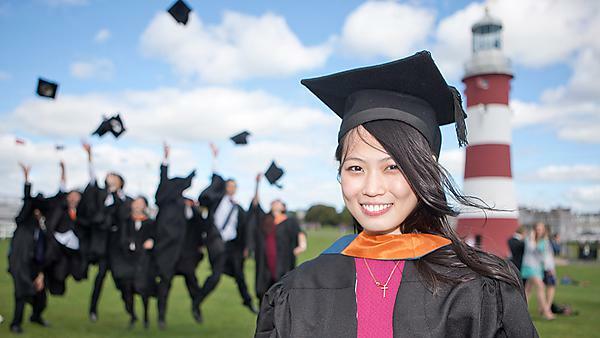 If you are currently studying at an institution which has a partnership agreement with the University of Plymouth, you could be eligible for an International Partner Scholarship.